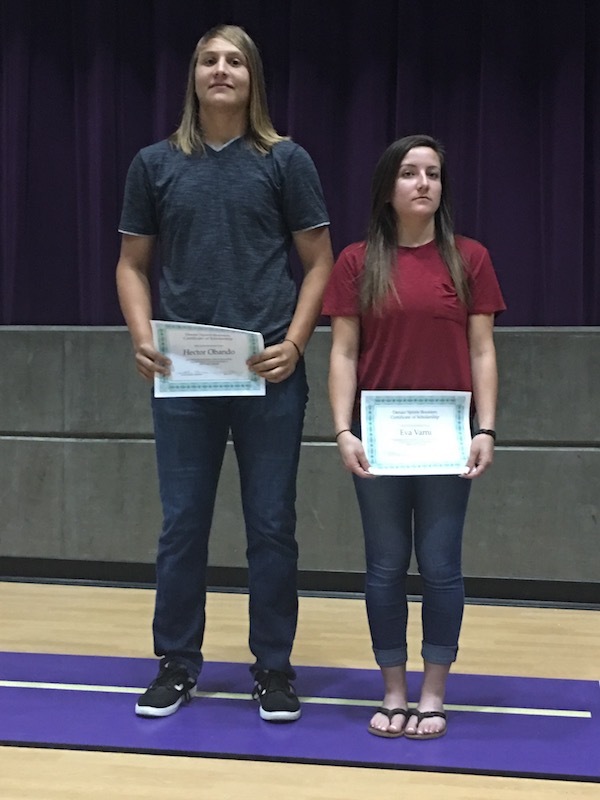 There were smiles, even a few tears, and plenty of hugs and applause Friday night at the Coyote Center as Denair High School honored its top students. Nearly $16,000 in combined scholarships were announced, money that will be important as the members of the Class of 2017 continue their educations in college. Eva Varni earned the most in scholarships ($3,150), followed by Kyle Prock ($2,250). Varni also was presented with the Principal’s Leadership Award. Hector Obando will be the valedictorian at the May 26 graduation ceremony based on his 4.17 grade-point average. He also earned recognition from the California Department of Education’s Mathematics Council. Elisabeth Martinez was just behind Obando in GPA (4.15) and will be the salutatorian during graduation. In the lower grades, junior Daisy Lopez (4.15), sophomore Reyna Villa (4.13) and freshman Fernando Silva (4.12) earned the highest GPAs. Senior Trevor Lovelace was recognized for perfect attendance during his entire scholastic career – kindergarten through 12th grade. 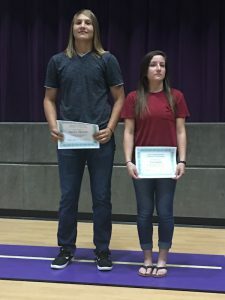 Nearly $26,000 in scholarships were awarded as Denair High School celebrated the academic achievement of its students Thursday night. 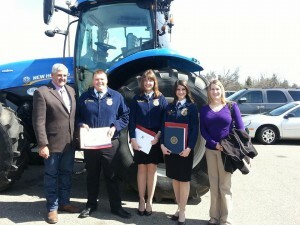 Abigail Dirkse received the Jim Booth Memorial Scholarship worth $2,500, the top individual award. She also earned the $1,500 Turlock Chamber of Commerce Ag Scholarship and was awarded $250 from the Stanislaus County Women in Agriculture. Logen Arndt was recognized as the Class of 2016 valedictorian for his grade-point average of 4.33, best among seniors. 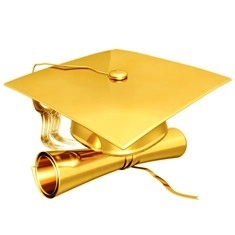 David Sweeten and Dirkse (both 4.25 GPA) will be salutatorians at the May 27 graduation ceremony. About 300 people attended the one-hour ceremony in the Coyote Center at Denair Middle School.